Author: Hewson, David Set In . . . 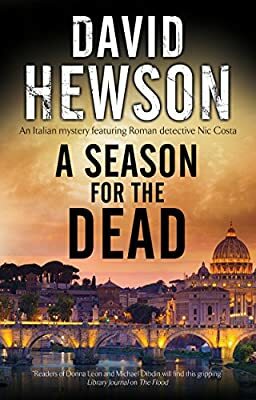 Description: A shooting in the silent Vatican reading room leads to a horror beyond imagining for Detective Nic Costa and his team. Soon Sara is inextricably linked to a series of horrific and cunning murders, each one representative of the death of a martyr of the Church. Into this charged climate enter Detectives Nic Costa and Luca Rossi, enlisted to track down the killer, and to protect Sara from the horrors he is capable of. It seems that at any time she could be the next chosen sacrifice.